This lesson provides an opportunity for students to express their ideas through literature. Teachers will read a story on clouds to students, then take students outside to observe actual clouds. Students will create drawings of what they see, identify different cloud types, and then pair their findings with other students to create a cloud presentation for the class. 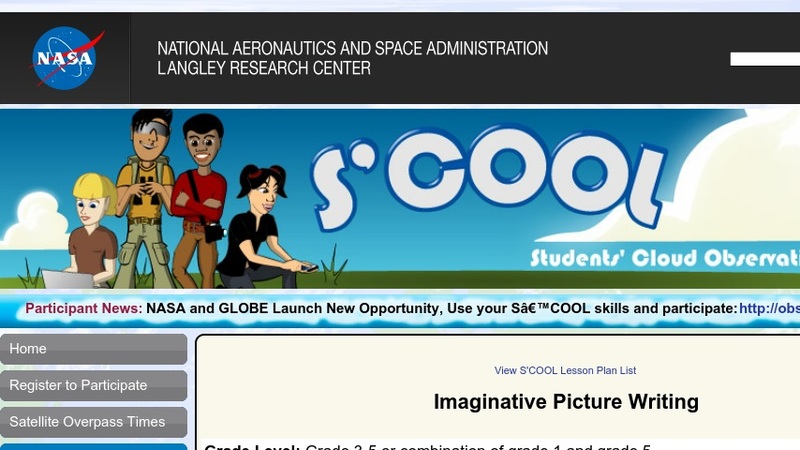 S'COOL engages students in making and reporting ground truth observations of clouds then comparing those observations with data from the CERES satellite instrument.